Ngawa or Aba, the fullname of Ngawa Tibetan and Qiang Autonomous Prefecture,is an autonomous prefecture in Sichuan, whose capital is Barkam town. It has an area of 83,201 km². Ngawa is the site of the epicenter of the 2008 Sichuan earthquake, in which over 20,000 of its residents died. The region is historically part of the Tibetan province of Kham. In contemporary history, most part of Ngawa was under the 16th Administrative Prefecture of Szechwan, which was established by the Republic of China ( ROC).The People's Republic of China (PRC) defeated ROC troops in this area and established the Tibetan Autonomous Prefecture of Sichuan by the end of 1952. It was renamed Ngawa Tibetan Autonomous Prefecture in 1956, and Ngawa Tibetan and Qiang Autonomous Prefecture in 1987. On May 12, 2008, a major earthquake occurred in Wenchuan County, a county in the southeastern part of this autonomous prefecture. 20,258 people were killed, 45,079 injured, 7,696 missing in the prefecture as of June 6, 2008. -Wolong National Nature Reserve in Wenchuan County is a reserve for giant pandas. It is the best-known place to watch pandas. 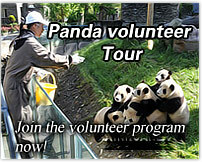 China Conservation and Research Center for the Giant Panda was established there in 1980. -Huanglong is a scenic and historic interest area in Songpan County. -Jiuzhaigou Valley is a nature reserve in Jiuzhaigou County. It is known for its many multi-level waterfalls and colorful lakes, and was declared a UNESCO World Heritage Site in 1992. 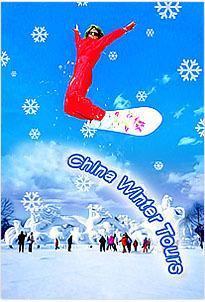 -Siguniang Mountain is on the border of Xiaojin County and Wenchuan County.